It took me a while to warm up to the idea this egg shaped sponge, but lately I have been obsessed with it. The Beauty Blender is an unexpected favourite amongst my beauty tools. I picked up two a couple months and decided to pick up another one for one of you. What I love most about the Beauty Blender. aside from the unique shape, is the ability to use it wet. I think that's the key to the smooth, flawless finish that it creates. The dampness of the sponge blends product beautifully. I use this when applying concealer under the eyes and it's the most natural finish. I've also used it on the rare occasion I wear foundation and it creates the same natural finish. Essentially, the Beauty Blender is a sponge. That's why the results were so unexpected for me. It's hard to believe that something so seemingly simple, could be so great for applying makeup. If you'd like to win a Beauty Blender, just enter below. 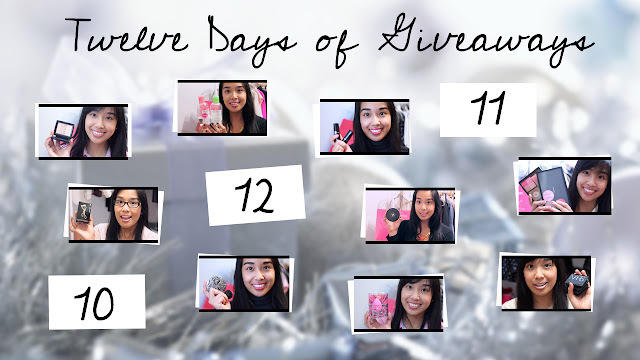 All you need to know is that this giveaway is open worldwide and it will end on December 12th, 2012 at 12:00 AM EST. The winner will be contacted via email. Plus, I will announce the winner here and on facebook / twitter. I haven't tried the beauty blender, but I've always been curious about it! I've never tried it, but I have wanting to for quite some time now! 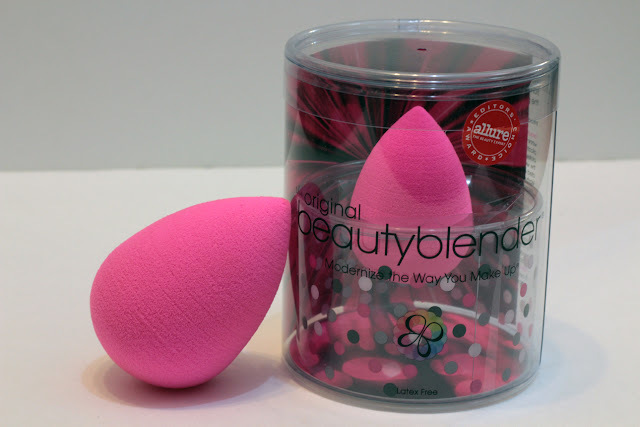 I feel like an idiot because I have been looking or the BIG beauty blender! Totally forgot you can wet it!!! I have never tried a beauty blender or a dupe. Usually i just use my fingers. I never tried the beauty blender myself, but I have given a dupe of it to a friend as a gift! ive been using a dupe of the beauty blender from ebay and i like it but i wonder how it compares to the real thing. Never tried it yet, but I've been curious about it :)! I've never tried one, I've seen amazing results in YouTube videos though. i've never tried a beauty blender or a dupe, but i'd love to! I've never tried one before because its a little bit pricey! I have never tried it but I'd like to!! No. But I would like to. I've never tried it, but have been really wanting to! I never tried it, but I heard so many good things about it! I got one for my sister this Christmas, but I'd love to have another for myself! I've always wanted to try these. Estee from essiebutton loves them! I would LOVE to win this, I've heard such good things! never tried anything like it! I have always heard of them and wanted to try! Would like to try it given all the hype. Thanks. i've been wanting to try it but i opted for the sephora one since it was cheaper. Never tried, but have wanted to for ages! I haven't tried it before but I'm really interested! I haven't tried the beauty blender but I would love to! i haven't yet! i usually just use fingers, but recently that's turned out to be a bad idea because i have two pimples on my left cheekbone now :'( and i NEVER get acne! I have never tried the original or any dupes. If I were to try, it would have to be the original, that's why I haven't gotten around to letting myself spend so much on a sponge! So I'd love to win to try! Thank you! I have been wanting to try this sponge for ages! No, I haven't tried it before but it is something that I have want to try! I use it daily and love it! I have a dupe, but haven't really tried it yet. I should give it a shot, though! I have never tried the beauty blender or a dupe before. It seems like a pretty steep investment, but since you recomend it - I might go out and buy one. :) Could you maybe do a tutorial on how you like to use it? Thanks! nope i've never tried it! I've never tried the beauty blender or anything like it! I would love to try it out! I have not tried this or anything like this but I would love to! I haven't tried this, but read so many positive reviews on this. No i havent. i find it a bit expensive. Ive only tried regular makeup sponges. I've never tried anything like the Beauty Blender. I've never tried it, but I have wanting to get it for quite some time now! I have a dupe from ulta but it does not swell up/expand. i like the sponge but it's not a flawless finish. I've only tried the one by Joe Fresh, but I'd love to see how the original compares! i've tried one from too cool for school but it's too sturdy that cant blend nicely..so i hope i can try the real one! Never tried! Definitely been tempted. No, I've never tried, but I would like to ! I've never tried the beauty blender or any dupes since I just use my fingers. I'd love try it - especially to conceal the dark circles under my eyes. I've never tried any but hopefully soon! i haven't tried the beauty blender.. but i did try a sponge from ulta that i bought. i like it but don't reach for it often. i haven't tried a sponge of any sort to apply foundation. would love to try the beauty blender! I haven't tried it yet. But I would love to, I just haven't been able to find it at my local drugstores. :( Thanks for the giveaway!! i AM DYING TO TRY THIS PRODUCT. HOPE I WIN!!! Never tried it! But I heard about it ever since it came out... actually dying to try it out! TEEHEE. This is the first time I've heard of this kind of sponge. I'd love to try it though! No i have yet to try this, but i would love to! Never tried, and don't have a dupe. But I would love to try it!! I've never tried it but my makeup instructor raves about it so I'm really curious! I haven't tried any beauty sponges, but I'd love to!